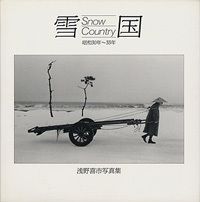 For three years, Asano went back and forth to Noto, Echigo, and Tohoku region to photograph Japan covered in snow. 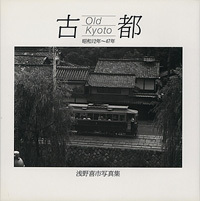 Asano lived in Kyoto where snow is scarce so on nights before snow was forecasted, he would take the train in the middle of the night to Wajima to photograph and take the train back to Kyoto later that afternoon. The photographs in this book were taken in that three year period. Asano spent a number of years photographing the Gion but it was only after he was assigned to take still shots for a project for the BBC that he was able to photograph the Gion from the inside. 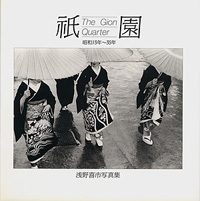 In this book is a great series of photographs documenting life in the Gion Quarter with a strong focus on the maiko girls (apprentice geisha’s).